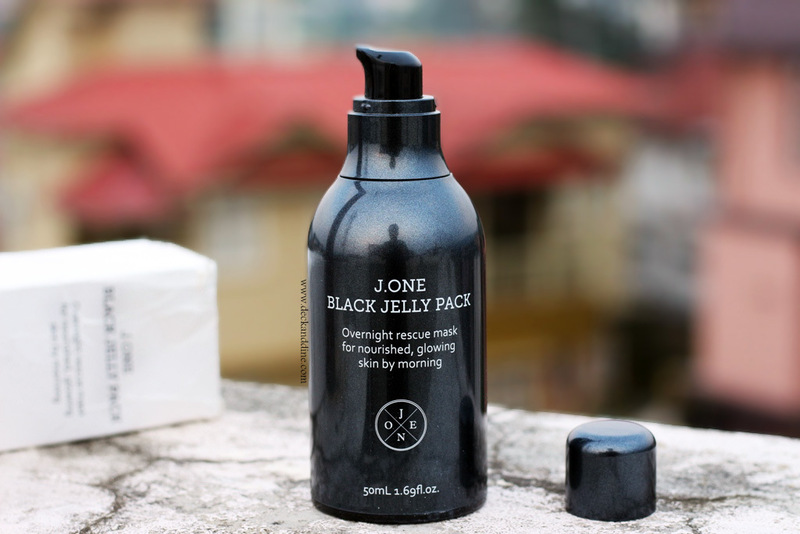 Today I am here with a review of a cult favorite product from one of Korea’s leading brands, J One’s Black Jelly Pack. This product has been immensely loved and raved by people worldwide. It is said to harness the power of 7 midnight-hued antioxidant rich ingredients which hydrates and makes skin appear smooth and supple. Most of the so called ‘cult-favorite’ skincare products fail to impress me and so I was skeptical about trying this. Moreover, it wasn’t easily available in India and ordering through Instagram sellers meant extra charges. So after a lot clash between the heart and mind deciding on ‘should I go for it or should I stick to my regulars’, my mind gave up and as usual the heart won. Overnight rescue mask for nourished, glowing skin by morning. Actually 35,000 South Korean Won. $44 at Sephora USA or Glowrecipe and around Rs. 1800-2000 if bought from Indian Instagram Sellers. From J.One officialWebsite, Sephora, Glow Recipe, Cult Beauty UK or through Instagram Sellers. I bought from Stalking Makeup. 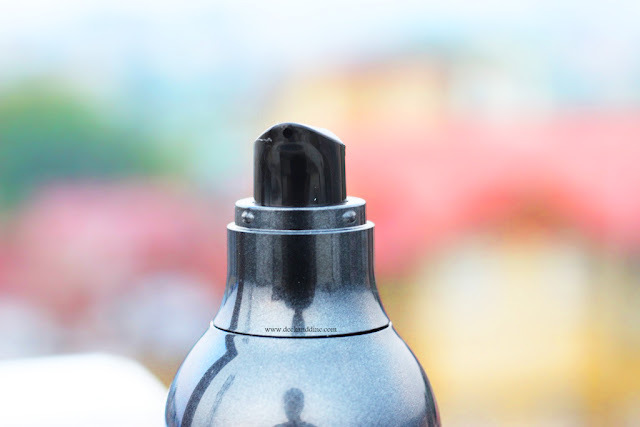 The serum comes in a black colored bottle with a pump dispenser. The black bottle further comes housed in a white cardboard box. However, I guess the recent batch has black cardboard packaging. The details are mentioned on the bottle and as well as on the box, but unfortunately 99% are in Korean. You just need a tiny amount of the product. I have normal skin and just a single pump in enough for my entire face and neck. I apply the product and pat gently for faster and better absorption. Currently I am using only this after washing my skin, but you can use this as the last step of your skin care regime after all the toner, serum and essence. This is my first ever jelly mask and also my first ever sleeping mask and hence I was pretty much excited. The serum has a bouncy gel like consistency and it contains extracts of black cumin seed, truffle, black currant, blackberry, black bee propolis, and black pearl. The beautiful hue is naturally derived and is free from synthetic dyes. The smell is fruity, very subtle and fades away in seconds. The gel feels light, spreads beautifully on skin and gets absorbed super quickly without leaving any sticky or tacky feel behind. It doesn’t leave my skin oiled up, excessively moisturised or any trace of it to be precise. It adds an instant smoothness to my skin which made me think if the gel contains silicon. But thank God, it doesn’t. As it didn’t leave a ‘rich cream feel’ behind, I was kind of disheartened after my first application. “Will it be able to at all hydrate and moisture my skin” “Where did the product go? Will it be able to nourish my skin” “It doesn’t seem to have any rich moisture residue/feel to it. Do I need to top it up with a heavy duty cream or so?” … And all my questions were answered the next morning. My skin felt like butter, so soft and smooth, adequately hydrated and moisturized. My skin looked pillowy, brightened and had a beautiful, healthy glow from within. The freshness and softness stay with me throughout the day as well. Just love my skin. 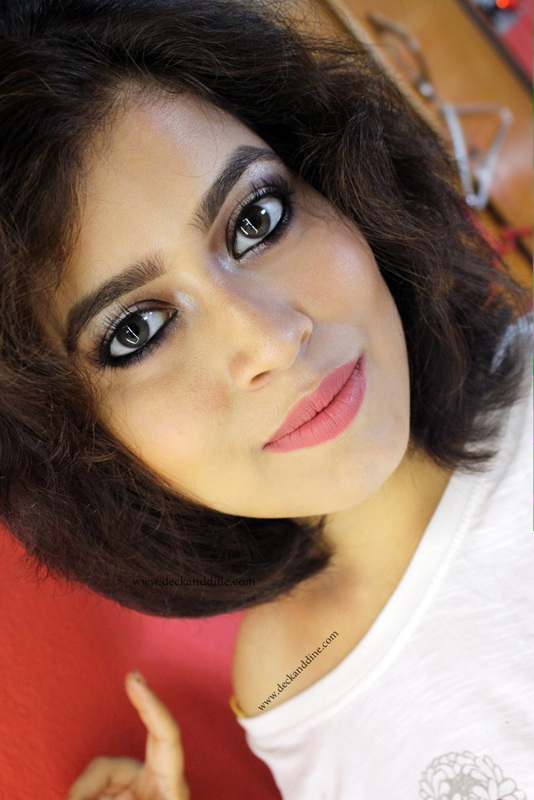 If you don’t know, my mother –in-law and my ‘sister-in-law’ are my ‘guinea pigs’ when it comes to experimenting with products. I use the products on myself and if required on them too, just to know how the products work on different skin type and skin tones. My mother-in-law, who is in her mid forties and has super dry skin, is using this as well and she loves it too. She was having these mild signs of ageing around her lips and corners of eyes, which seems to have faded after she started using this. She is super happy and says that she will never go back to her previous night creams. I was actually astonished to see how a single product worked so beautifully on 3 different skin types, on my normal skin, on my mom’s dry skin and my sister’s oily skin. Truly an amazing product. Amazing texture, gets absorbed super quickly. Doesn’t feel sticky or tacky. Free of Parabens, Synthetic Dyes & Fragrances, Mineral Oils. Makes skin pillowy soft and supple. Increases the efficiency of other skin care products. Didn’t break us out or clogged pores. I would say that it is decently priced. I don’t mind paying for products that work well. Moreover you need just a tiny amount and thus it would last you really long. I have been using this for almost 6 months now and loving this mysterious looking blackish blue jelly pack to the core. Like other moisturizers or sleeping masks, it doesn’t look or feel so moisturizing and rich in texture at the first sight, but trust me, it does its job fantastically. There is something about the product that keeps me reaching to it every night; kind of slipping into your favourite silky slip before hitting the sack. I am hooked! This sounds interesting. I'd love to hear more about what ingredients are in One Black Jelly Pack. Looks like a nice product. I was not familiar with this brand. I've never heard of the brand but I think it sounds amazing. Will it be available in HongKong?? I would search it for sure. I feel like needing one mostly as you wrote that it doesn't feel tacky or sticky at all. I can't tolerate sticky feel type of serum or moisturizers. So its a relief. Sharing in my group today. Hope its okay! It sounds like this is perfect for dry skin like mine! I've never heard of this brand before and have to admit a night mask makes me wonder what my pillow will look like in the morning but I am intrigued. This sounds like an amazing product. I'll be adding this to my list to pick up during the Sephora VIB sale! I hadn't heard of this brand before! I love the idea of sleeping masks so much. Sounds really nice, and like a lil nice treat! I don’t know this brand but the ingredients sound luxurious! Sounds like it works great for all skin types! The gel consistency is really interesting. I love that you have guinea pigs. It's so helpful to pass along different age and skin type considerations.